"what should I do for this specific case"
"how much volume should I use"
"has anyone done one of these cases"? This is where MedShr comes in. 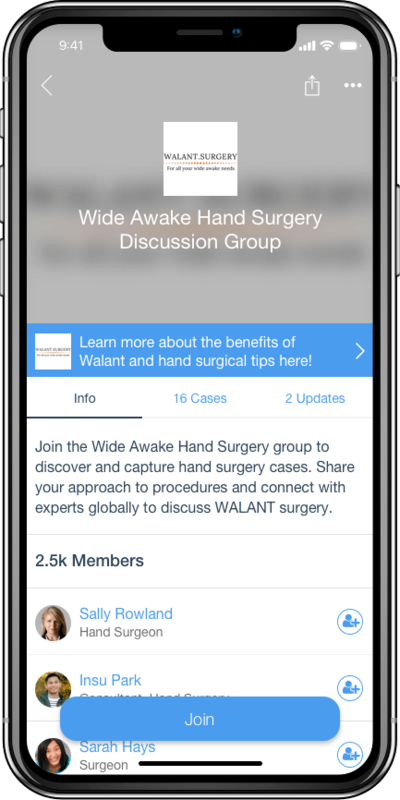 Post cases you have done, have yet to do or have come across to see what the Walant community would do. We do appreciate that having to register for us and another site/app is more trouble than we were hoping to inflict on you but MedShr is an awesome resource, not just for Walant but for all and every case you want to share. It is largely a mobile platform so you can have the Walant cases fed directly to your smart phone. We could never hope to build that sort of resource so thank you for taking the time to register with them too. It will be worth it. They also require registration because they are exclusively for the use of clinicians. Therefore they will need to verify your credentials, just like we have had to. Registration only takes a couple of minutes.